A paper published by researchers, including several OTN investigators and noted conservation physiologist, Dr. Steven Cooke, explains how animals being monitored using transmitter collars and tags can, and have been, targeted for exploitation. This is done by accessing tracking data published online, or through the use of signals sent by radio tags. Revolutionary advancements in data sharing and transparency bring new challenges such as learning how to better safeguard information while remaining collaborative. As an evolving field of practice, the availability of open source telemetry data is identifying the real or near-real time locations of animals. This creates opportunities for unintended exploitation and challenges for data and policy managers. 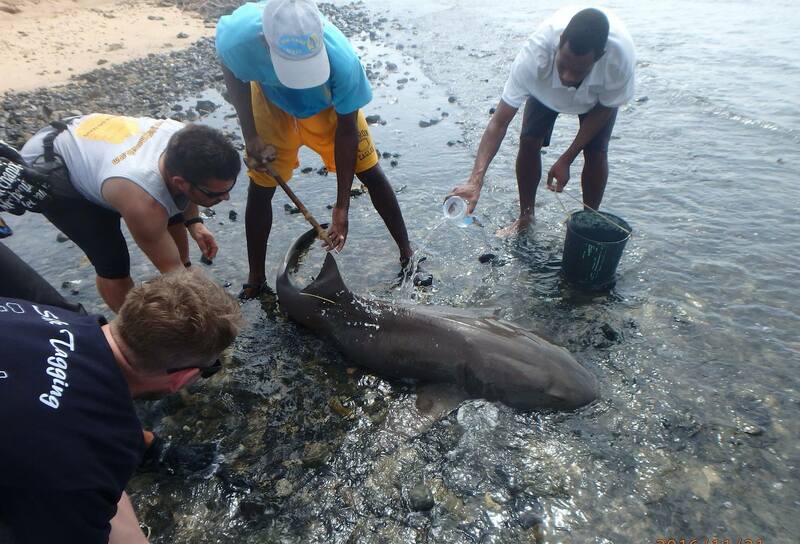 Dalhousie/OTN researcher, Manuel Dureuil externally tagging a nurse shark with researchers in Cabo Verde. Tracking data has been used for other controversial purposes in addition to hunting and killing animals. In Canada’s Banff National Park, wildlife photographers used signals from animal-borne radio collars that park managers and researchers were using to monitor bear, wolf, and elk populations to easily locate the animals in their natural habitat. Amidst concern for the well-being of wildlife and the potential to disrupt animals’ natural behaviour, Parks Canada implemented a public ban on VHF radio receivers used to home in on the VHF collars, worn by animals residing in the park. “Tagging and tracking are essential tools for scientists and conservationists working in this field, but animal safety needs to be a part of the discussion moving forward. Researchers are now thinking about, and planning for better forms of data security that can protect animals from poaching or disturbance.” — Fred Whoriskey, OTN Executive Director. 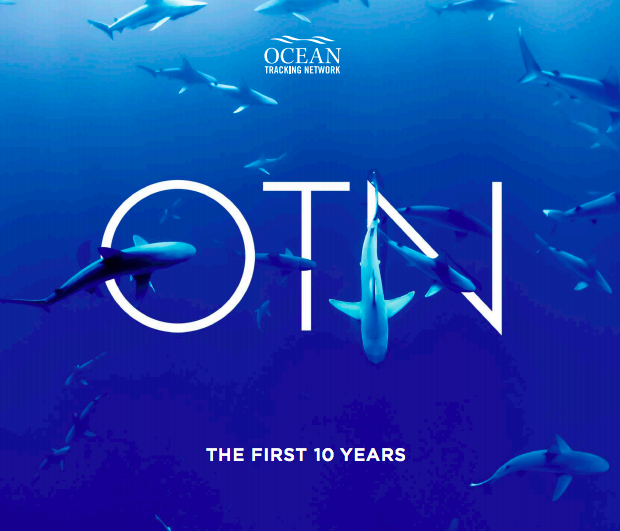 As a global network of telemetry researchers conducting studies on the movement of aquatic species, OTN is very concerned with this issue. OTN’s scientists conduct comprehensive studies of aquatic life and ocean conditions through the use of electronic tags (acoustic, radio, satellite, and archival). 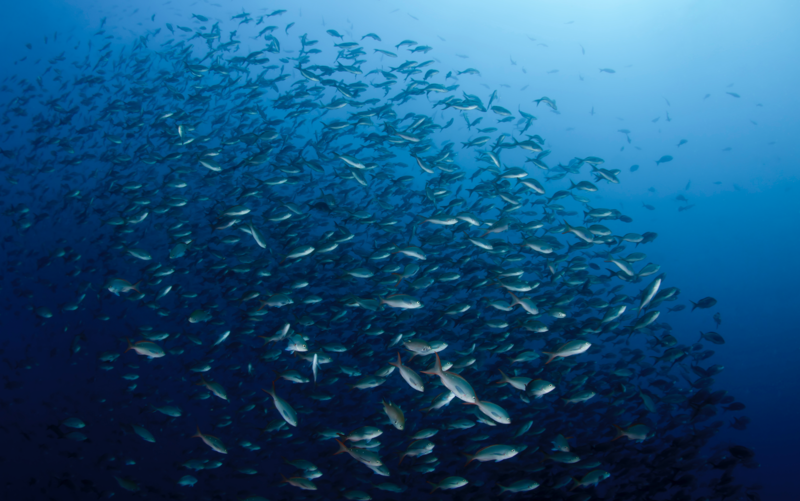 Information from these studies is changing how scientists and world leaders understand and manage aquatic resources, particularly in the face of a changing ocean environment. “Animal movement and oceanographic data are the evidence that underpins policy and management actions related to sustainable use of valuable ocean resources. In order for this information to be effective, data must be widely accessible to those who can strategically use it.” — Fred Whoriskey. While making animal tracking data broadly available may pose risks for some targeted animals, it is extremely important to collect and distribute telemetry information in order to cost effectively share resources, and better understand aquatic species distribution, abundance and survival towards effective conservation. How then, do research organizations ensure that data are not exploited for malicious purposes? Since its inception, OTN has implemented data protection/use procedures and policies that align with international standards and best practices. 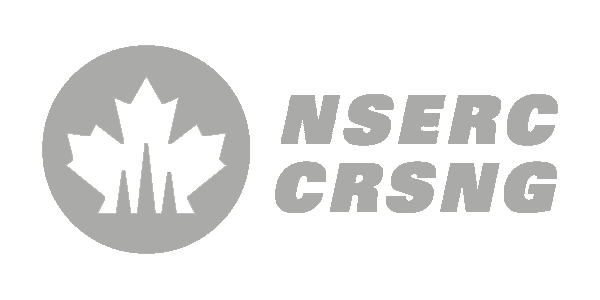 To stay current, OTN periodically reviews its data management and updates procedures and policies to meet evolving national and international standards, as well as the needs of its Network and researchers. 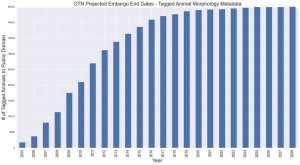 The OTN Data Policy was designed to balance the utility of data sharing, both within the telemetry community and with the broader public, against the real and practical concerns of sharing this potentially sensitive, ecological information. To ensure information is secure and properly used, OTN’s animal tagging data are, by default, placed under an embargo which lasts the duration of the tag’s battery life plus two years. During the embargo, only lead researchers, or those permitted by lead researchers are given access. After the embargo period, when the data typically become available (exceptions can be granted for conservation concerns. E.g. not identifying the position of vulnerable endangered species), users must register to use it via the OTN data portal.